How would you describe your soul? Is it a vessel of pure, unadulterated funk? Maybe a glowing ball of fiery defiance is a better way to describe it. Or perhaps, your soul is more of a bright beacon of defiance. If it was a color, it would probably the bright orange color of clementine, or perhaps it’s the very color of defiance itself! It’s your duty to show it off to the entire world! Now, take a look at what you’re wearing. Does your outfit embody your bold and defiant soul? Does it capture the limitless energy and potential inside of you? Does the color match the fire inside of you? Does it immediately attract attention in the room like a high-powered electromagnet? 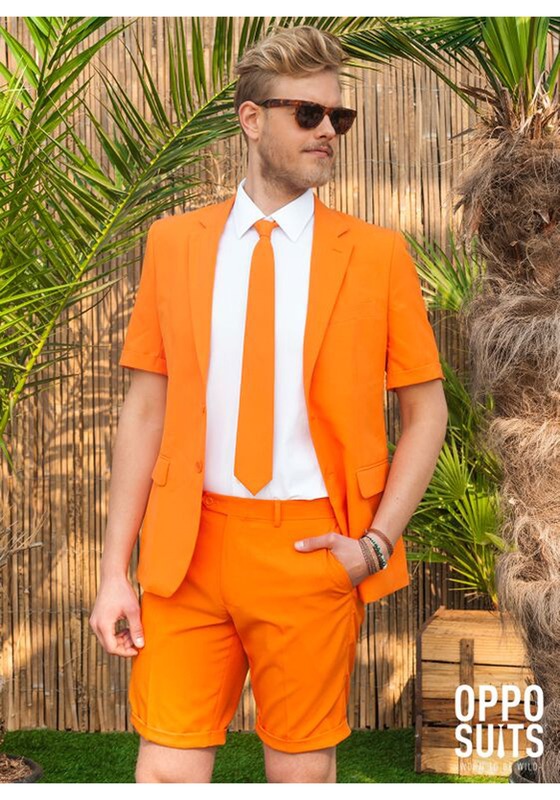 If you answered “no” to any of those questions, then you’re doing your inner essence a disservice by not wearing this Orange Summer Opposuit. 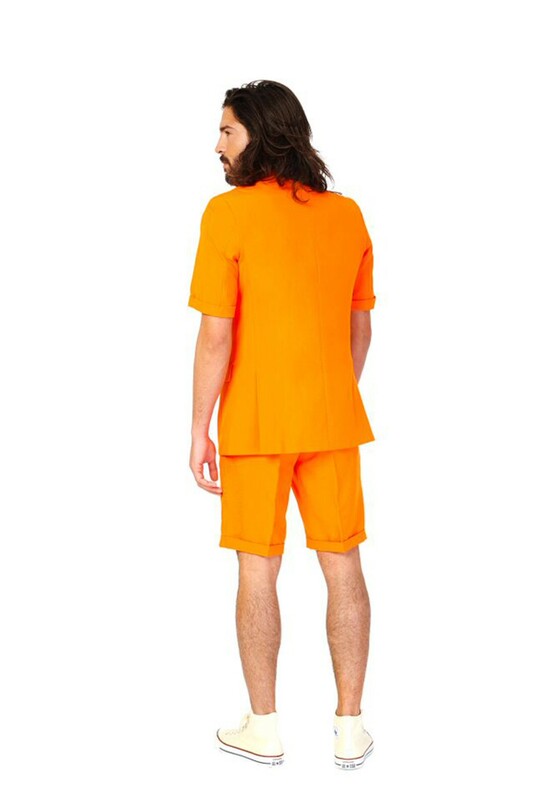 This brightly colored suit is the very spirit of bold defiance. It scoffs in the face of convention with its bright orange color, shedding the shackles of traditional black and grey suits. It dares to be bold by also shedding its sleeves and pant legs. That’s right! 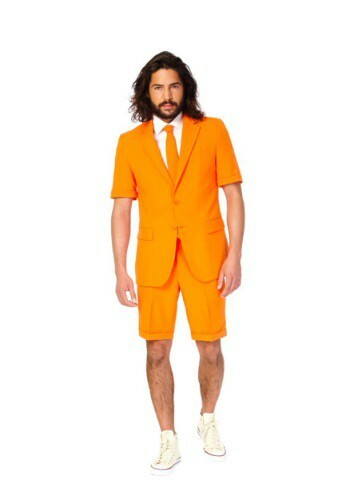 This orange suit comes with a jacket that’s short sleeved and a matching pair of shorts. This isn’t grandpa’s suit. This is YOUR suit. Of course, it also comes with a matching orange tie to complete the look, so you can head to that hot summertime party with complete confidence. Sure, your dad might not like its bold and rebellious color and your grandpa may not understand the short sleeves, but this is your time. They don’t need to understand it. They just need to let you do your thing and be amazed by your dazzling style.